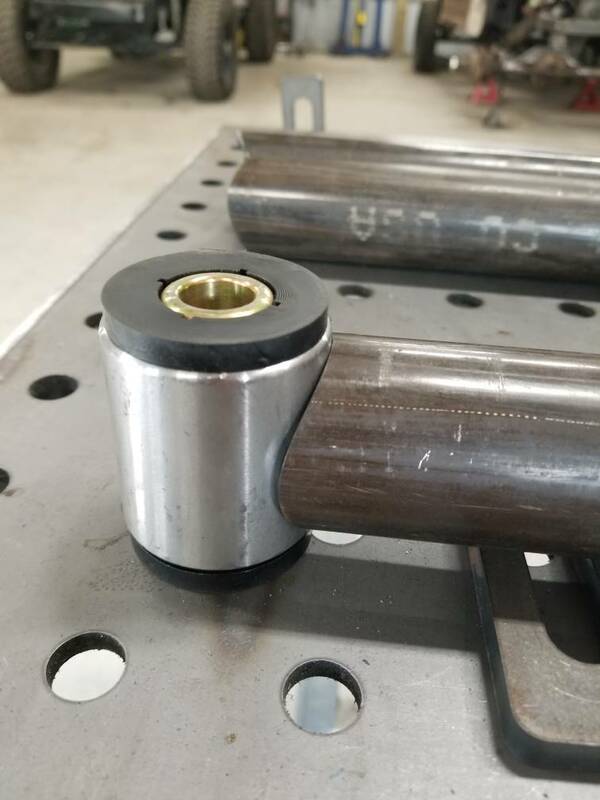 I think you should try to build the axle side pan-hard bar in a way that it is double sheer...? Nice looking work! 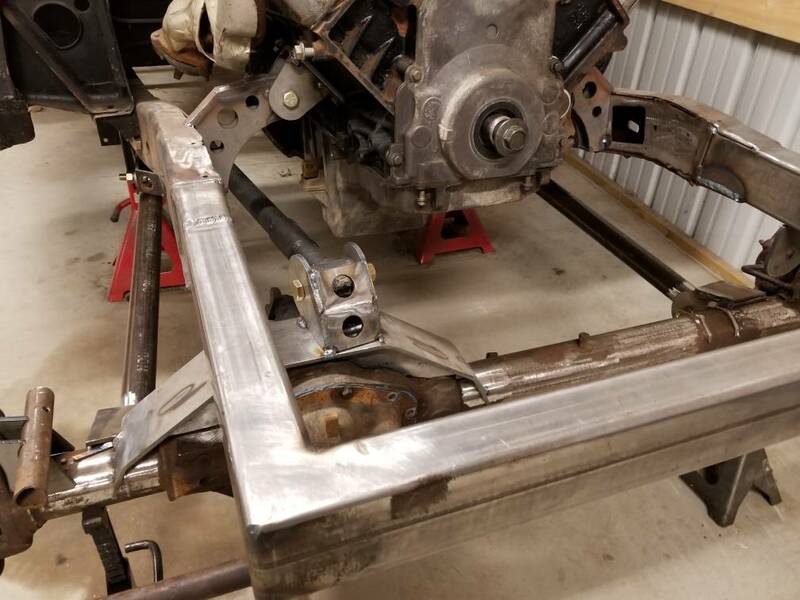 Put my spare wrangler tire on to start getting an idea for the links...exhaust manifolds put a big monkey wrench on an upper link for either side, got some serious head scratching to do. Are those stock truck manifolds? I picked up a set of camaro manifolds to try out when I get that far. I just pulled the broken exhaust bolts out this weekend in between rounds of painting small parts. I have them mocked up on the stand right now, and it looks like they are placed further back towards the firewall and point mostly straight down. It probably trades one set of problems for another. I can grab a few pics if you're interested. I was able to find a clean set for $100, which was part of the reason to give them a shot. Yea stock truck manifolds, it's looking like the passenger manifold dumps far enough back that I will be able run a link on that side, I just have to run the numbers in the 3 link calculator to confirm. I have good separation though and my upper link is near parallel to the ground so I don't think I'll have an issue. 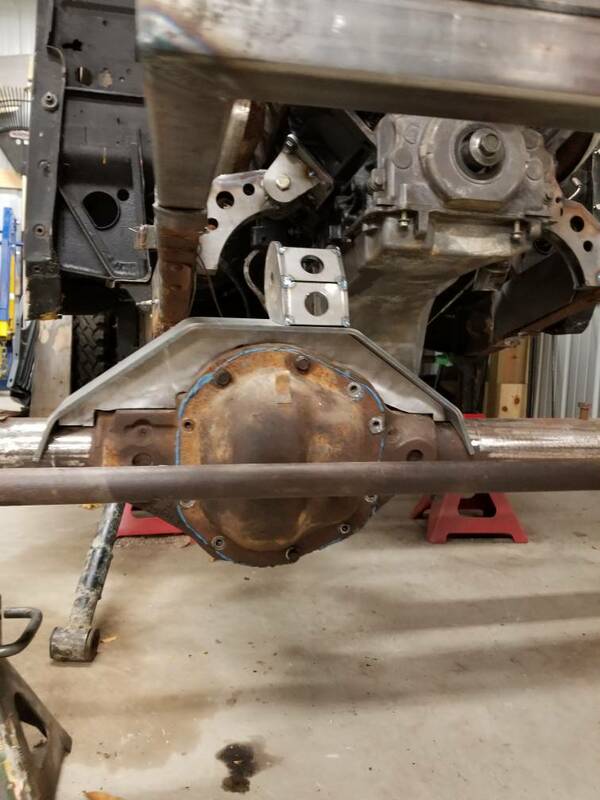 The only concern I have is the link will be to short but it's damn near the same length as my wrangler upper link and I have been very happy with that set up. I also thought about a center dump manifold and then crossing the exhaust over by the oil pan but even that was looking tight. I got some good numbers to go off from in the 3 link calculator so I got the first round of laser cuts tacked together. Looks solid. Love the laser cut parts. could you shave the corner to get more uptravel, or was 5" your target? 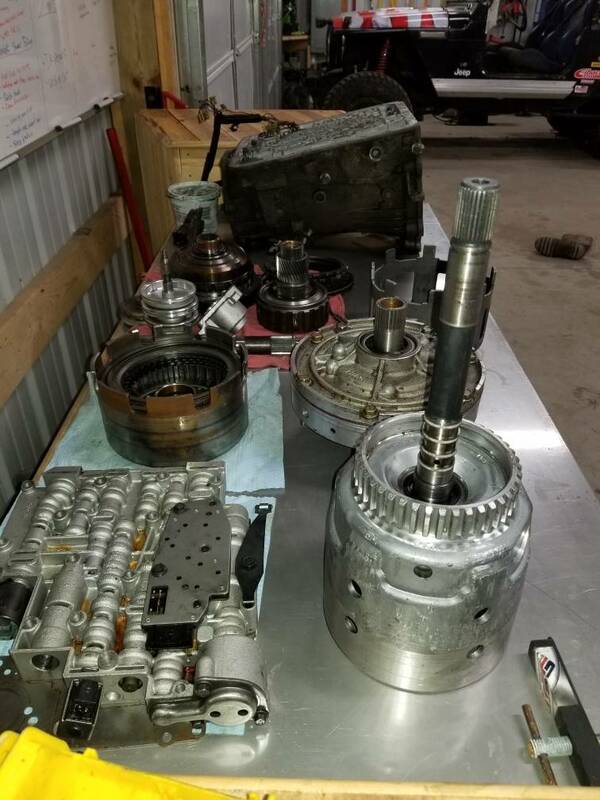 Ordered my trans rebuild kit this weekend so I got the case all the way torn down and my parts organized to start the rebuild. I have been very happy with the TCI kit I put in my wrangler so I went with the same kit for the willys. 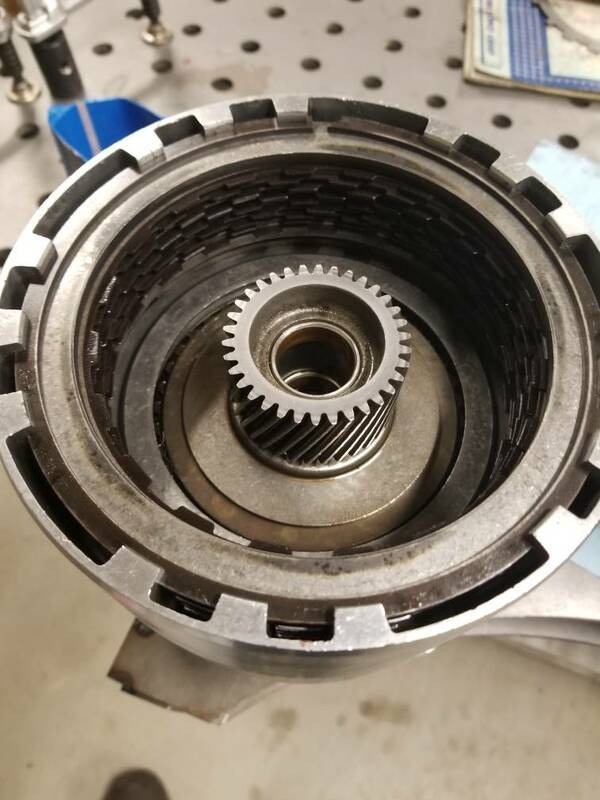 Transmission progress slowed way down when I found a lot of the hard parts not included in the rebuild kit are worn more than I like. 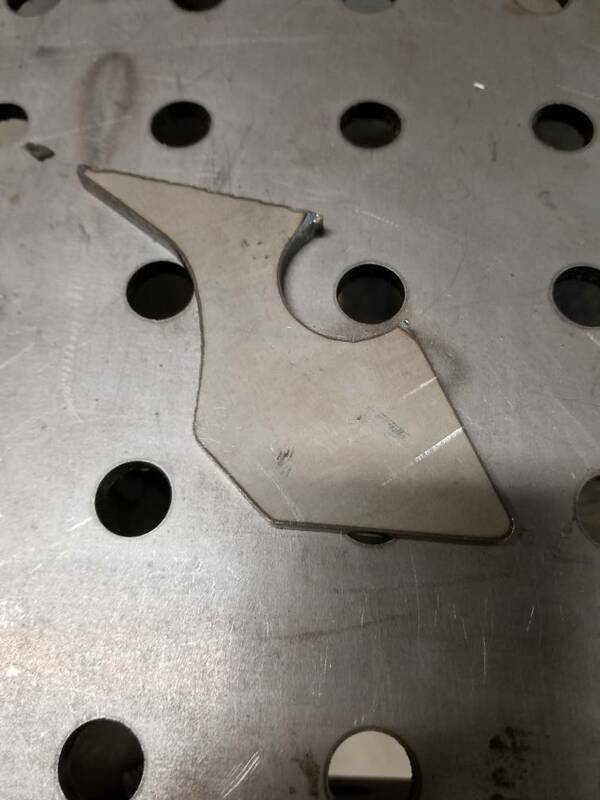 Those brackets look really nice, but where are your chamfers? 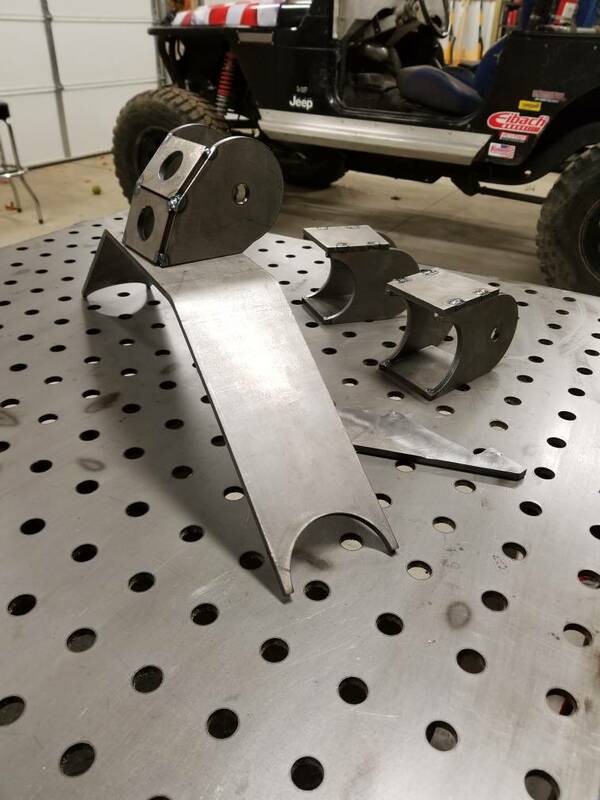 Your welds look killer too! You are s master craftsman for sure. Keep it up. Looking good. Now for the fun of packaging steering and track bar. Are you going to build with track bar flat at full bump or shoot for flat at ride height? The cold has seriously slowed down progress but I'm still moving forward. Transgel is useless when it gets cold so I need to get my uninsulated barn up to 60 degrees and keep it there to be able to get stuff to slide together nicely.